More than 75 Million activations of Windows 10 took place within 30 days of its official release. This latest operating system has worked well for most of its users but some problems or issues make this OS little irritating. There are lots of issues that come with the Windows 10 upgrade some of them are Windows 10 Nvidia driver issues, “Unable to Run GTA: Episodes from Liberty City on Windows 10”, NETAPI32.DLL is Missing / Not Error Messages in Windows 10, “Unable to Login with my Microsoft Account in Windows 10”, ACPI_BIOS_ERROR in Windows 10, ‘Element Not Found’ Error in Windows 10 and more. In this blog, we will discuss about the 0xc000021a error in Windows 10 and try to fix 0xc000021a error in Windows 10. This issue is not new because Windows 8.1 users were also suffered with the error (Fix STOP Error 0xc000021A in Windows 8.1). 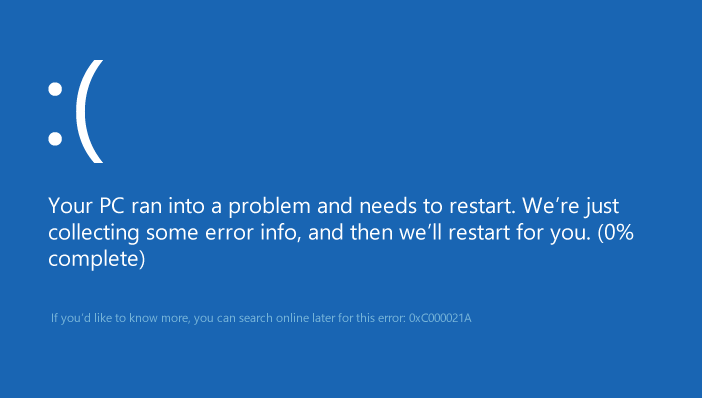 You may face 0xc000021a error in Windows 10 after upgrading or after executing a repair install. When system files in the computer get corrupt. Incomplete Upgrading process or error during upgrade. Incomplete installation of any apps or software. The Windows SubSystem system process terminated unexpectedly with a status of 0xc0000005. To get the startup repair window you should have to start the computer with a bootable Windows 10 DVD or USB disk. Click on the Repair your computer. 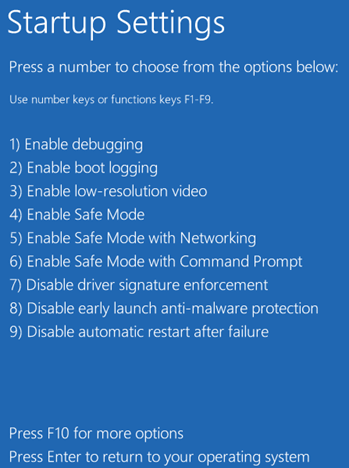 To boot into safe mode, select one form the available options once the computer reboot. It is suggested to select Safe Mode with Networking, because this allows you to use the internet in safe mode. In case you are unable to load safe mode then select simple safe mode. Once system restart in safe mode then you can copy important data and run commands to fix issue. Try to run the sfc /scannow command in command prompt. This command will scan for and repair damaged system files of the Windows computer. Again, click on the “disable driver signature enforcement” and then press the restart. Wait for the DISM command to finish. Note: Change the path C:\RepairSource\Windows with your repair source. 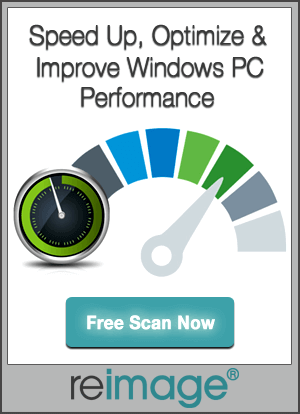 At last, reboot your PC and save changes. Try to reset your Windows 10 OS, use Windows 10 installation DVD or USB. 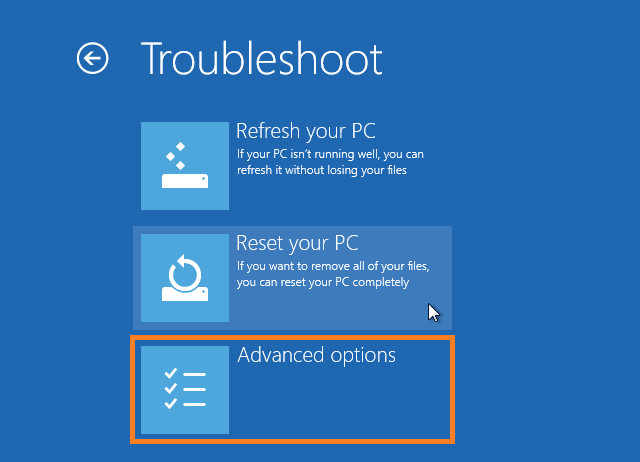 Click Repair your computer > Troubleshoot > Reset this PC. By resting all the installed software and user accounts will be deleted from the Windows partition, and reinstall a fresh Windows. Make sure that Your PC is Healthy or Not? 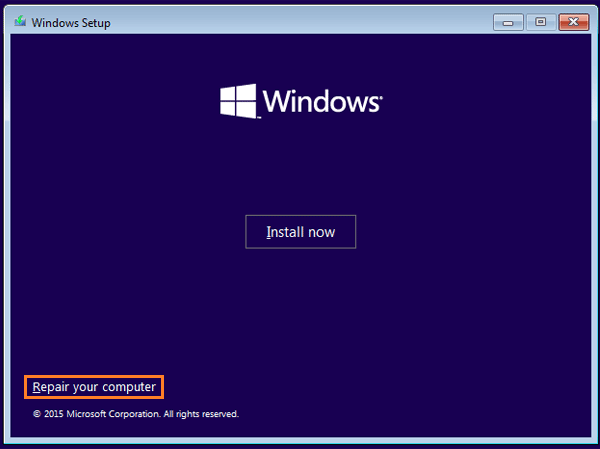 Above given method will fix this issue, but it is recommended to confirm that your Windows 10 system is healthy or not. You can do this with the help of a professional Window 10 PC Repair tool. 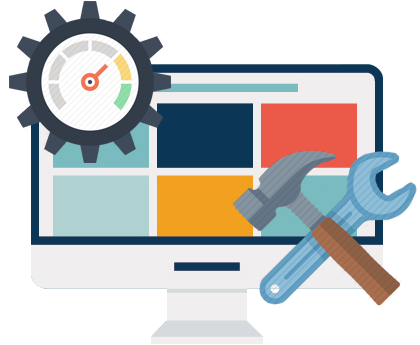 This app is specially designed to deal with all types of windows error and compatible with Windows 10. It is very simple to run this tool and you don’t need any extra knowledge.